There's only a couple of days left until Christmas is here! 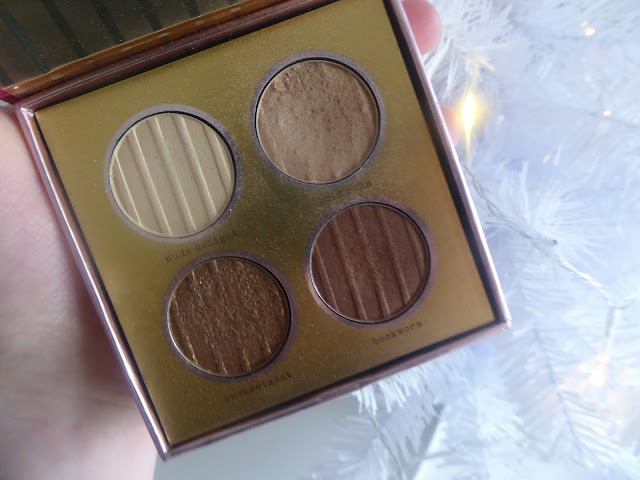 Today, I'm sharing with you a christmas makeup look that is easy to replicate. 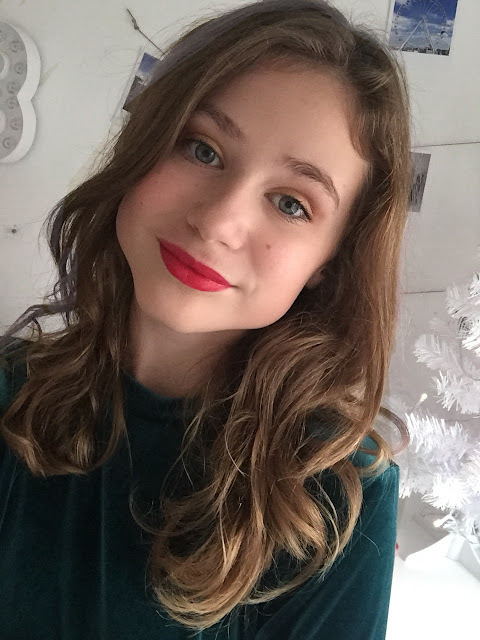 Thanks to my sister for helping me create this festive look! 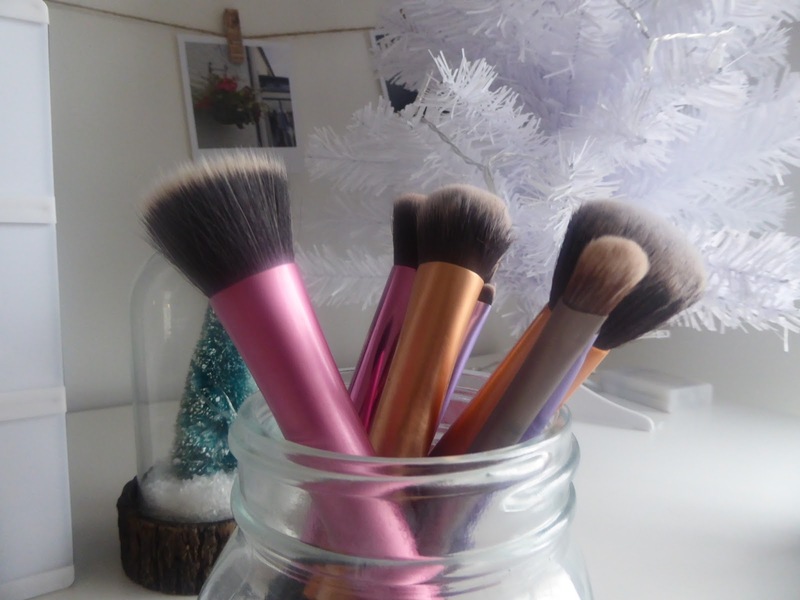 We used the Real Techniques Sponge to buff in the concealer and the rest of these brushes to apply the other makeup with. For the base we started off with the 'body shop extra virgin minerals' powder foundation. This does give a fair amount of coverage but obviously you can use what you normally use for foundation. 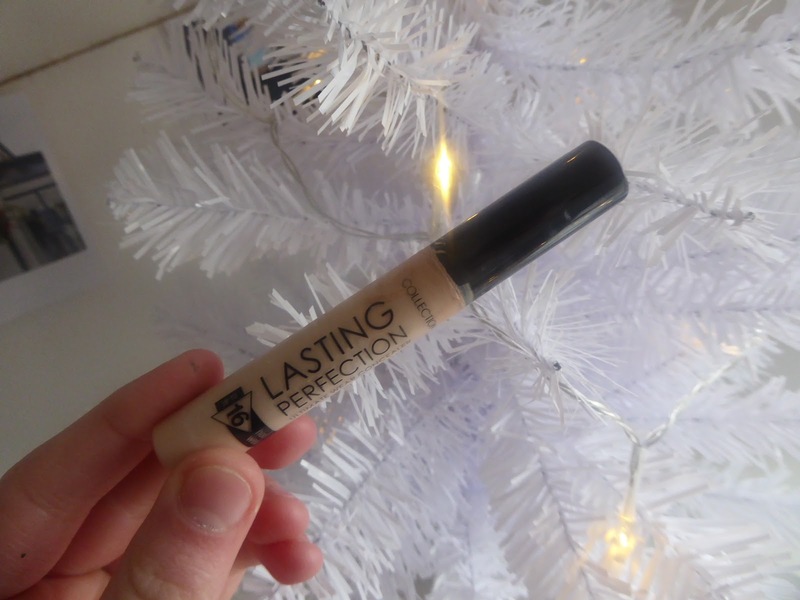 To conceal a few areas on my face e.g around my nose and underneath my eyes, we used the 'Collection lasting perfection concealer' in the shade 'light'. 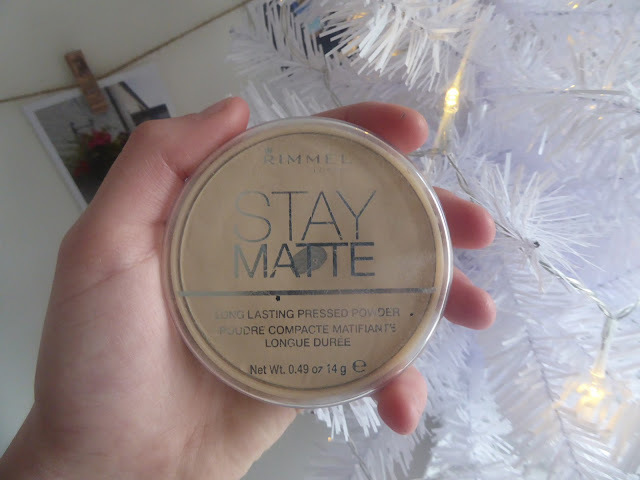 To give my skin a matte finish we used the 'Rimmel stay matte powder'. Next we moved onto the eyes! 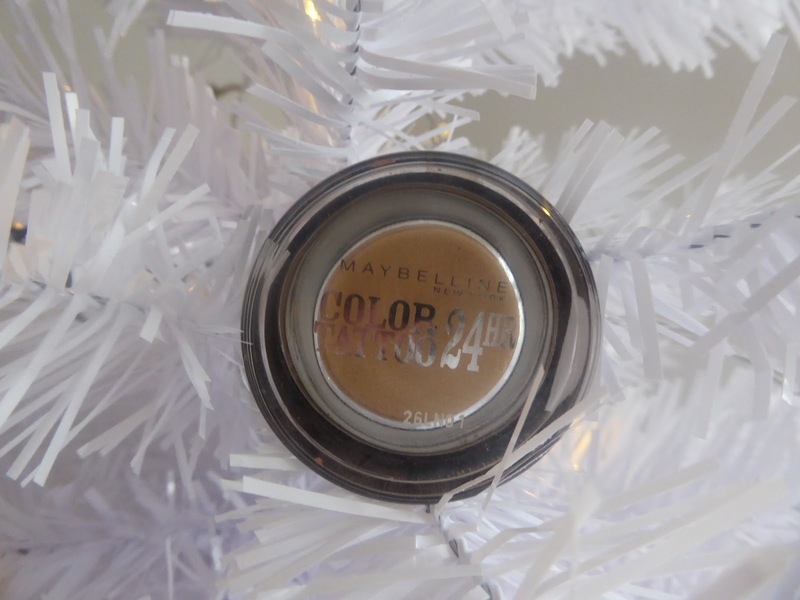 For the base we used the 'Maybelline colour tattoo', in the shade 'eternal gold.' 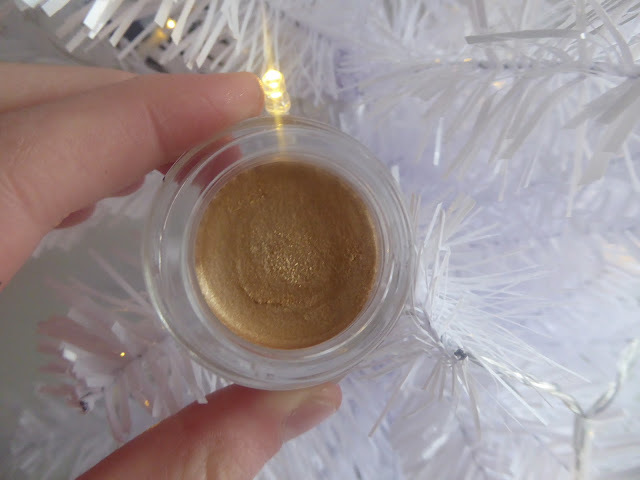 This helps to build up the colour and makes the eyeshadow last longer. Obviously, this is perfect for christmas time especially at parties. After that, we went onto using a palette. As you can probably see from the photos, this is the 'Tanya Burr cosmetics hollywood eye palette'. 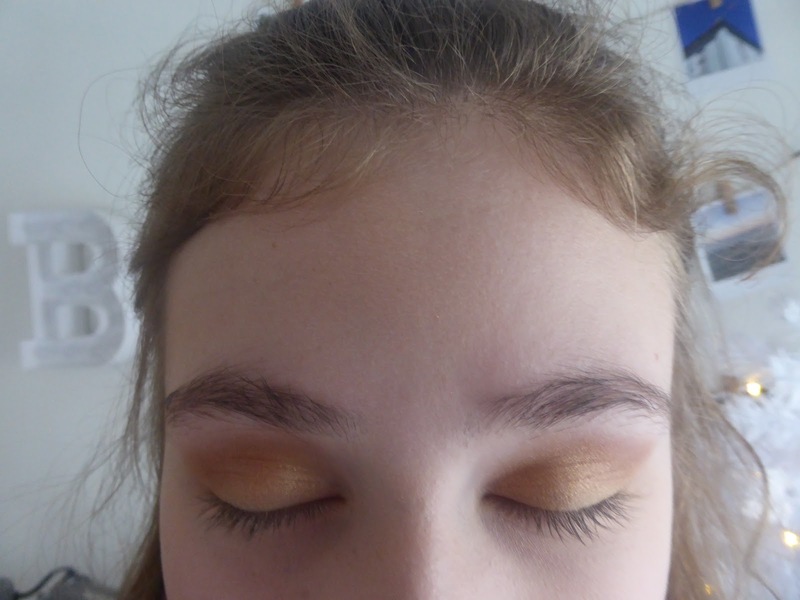 First we used 'gold coin' and 'enchantment' all over the lid and blended the edges to give a soft look. In the crease we used 'bookworm' to give a bit of depth and extra colour. Hey presto! The eyeshadow finished. I haven't got a photo of it but for mascara we used the 'Bourjois volume clubbing mascara'. As my eyelashes are quite straight, I should've used an eyelash curler but I don't have one! 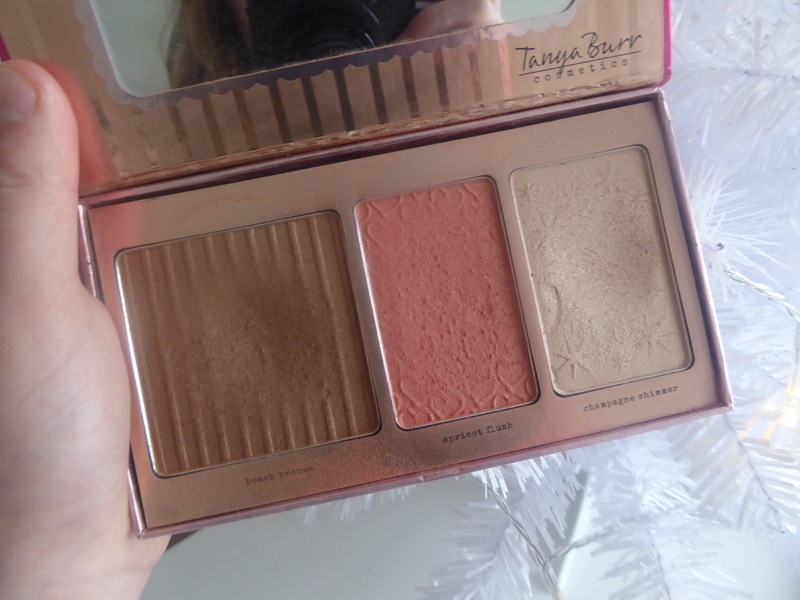 To provide my face with a bit of colour, we used the 'Tanya Burr cosmetics peachy glow cheek palette'. 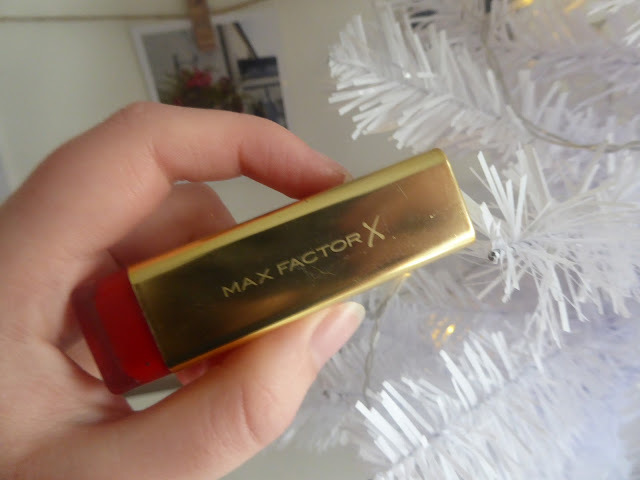 Last but no means least, I applied the 'Max Factor colour elixir lipstick' in the shade 'Ruby Tuesday'. I mean, no festive makeup look is complete without putting on a red lip, right? 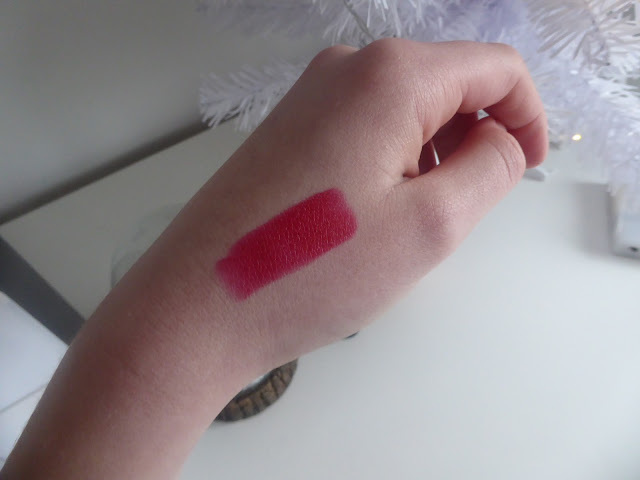 This is the perfect 'christmas red' that I think will suit anyone! So, that's it! 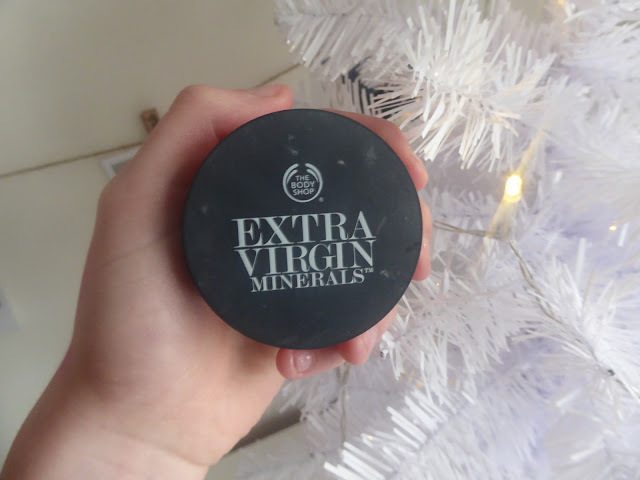 My christmas makeup. I really hope you enjoyed reading!